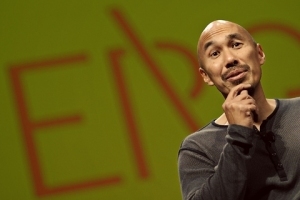 Francis Chan exhorts us to take courage in making disciples. Sometimes the path God takes us on to arrive at sweet fellowship with Jesus is not what we expected. 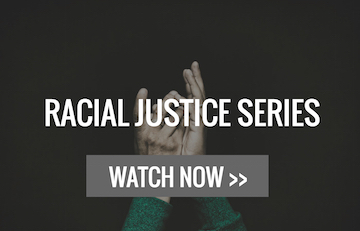 Find out why in this short video by Francis Chan. What many times surprises us, the Bible says should come as no surprise at all. 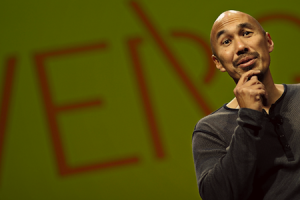 Francis Chan explains why in this short clip from the Verge Conference. As leaders, we change as we grow, but we also change in bad ways as well. 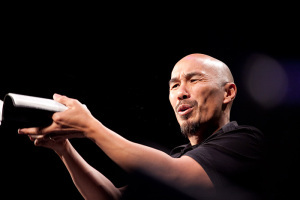 Francis Chan talks about how he began to rethink his own leadership in light of greater expectations as a leader. Is this phrase "Casual Christian" an oxymoron? Does such a thing even exist? Find out as Francis Chan explains. "I'd rather be in a pit guarded by the Taliban, with Jesus, than sitting in my comfortable house building up my retirement, without Him." 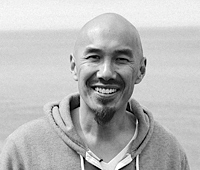 Francis Chan, in this powerful video clip. 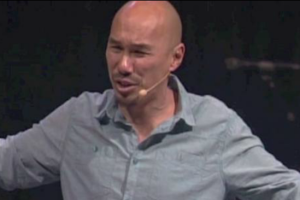 Francis Chan talks about what a radical Christianity looks like and why it looks like that. 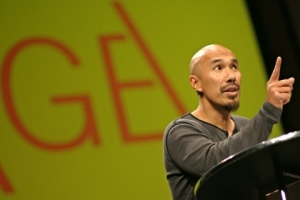 In this 2 minute video clip for the Verge Conference, Francis Chan explains how we can experience the Holy Spirit. Want to know how NOT to make disciples? In this humorous and insightful 2 minute video clip from the Verge Conference, Francis Chan begins to answer the question, "How can we make true disciples of Jesus?" 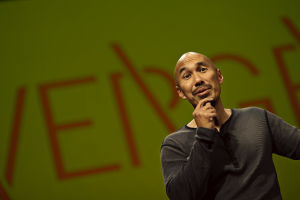 What advice would Francis Chan give to you as a leader? In this 2 minute video from a talk at the Verge Conference, find out what Francis challenges us as leaders to be and to do. Want to know how to have real community? In this 2 minute video clip from the Verge Conference, Francis Chan begins to answer the question that so many of us are asking - how can we have real community? The answer that Francis gives might surprise you. Francis Chan explains what Verge is all about, how God is really doing something, and how we really on the verge of seeing something new happen in our churches.